G’day, mate ! was the friendly greeting from Yalumba’s winemaker and storyteller, Jane Ferrari. As we chatted, I asked her how she feels about the concept of “terroir” and she answered emphatically that she believes in it. When visitors come to the Yalumba vineyard, she takes small groups out to 5 different vineyards, then pulls down the back of her truck and does a comparative tasting on the spot. Jane was recently named “Wine Communicator of the Year” in Australia. A trained winemaker, she now travels the world for Yalumba Wines. Canada and the US are the big markets for Yalumba, with “pockets” of demand in cities that have a thriving restaurant culture. In Canada, that’s Vancouver, Toronto, Ottawa, Montreal and Halifax. After so much travel on the road, where does Jane Ferrari go for a holiday? In a few weeks, she’s off to Las Vegas, where she’ll bliss out at a Willie Nelson concert. 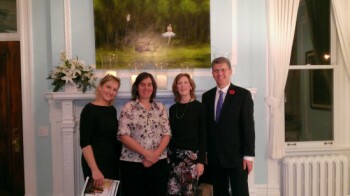 The Acting Australian High Commissioner, David Soar and Mrs. 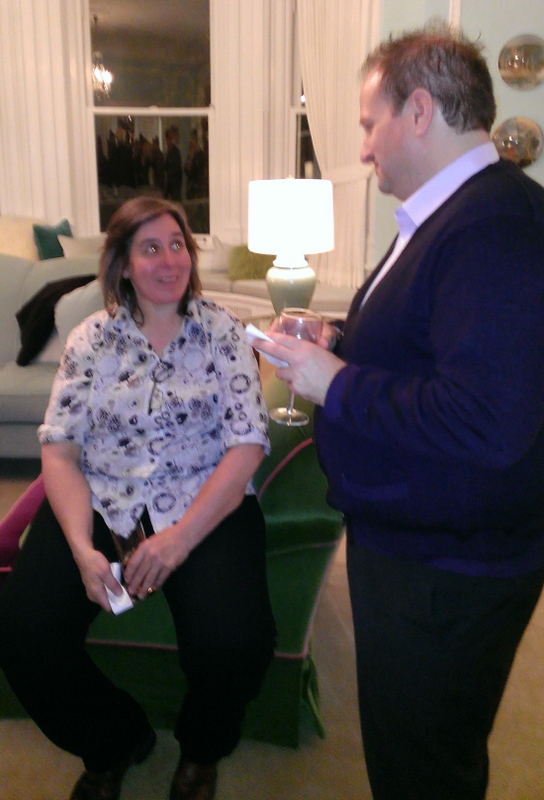 Soar, graciously hosted the evening’s tasting, as we sipped Yalumba’s excellent wines and enjoyed the stories from Jane. We were served yummy appetizers, including tempura shrimp and delicious scallops, then mini beef wellingtons(a big hit) and desserted with miniature lemon meringue tarts. Yalumba Virgilius Viognier: A lovely nose of ripe apricots and ginger, followed by a luscious palate with tree fruit(ripe peach and apricot) and gentle ginger. The finish has gentle apricot echoes. This was super with the tempura shrimp and scallops. 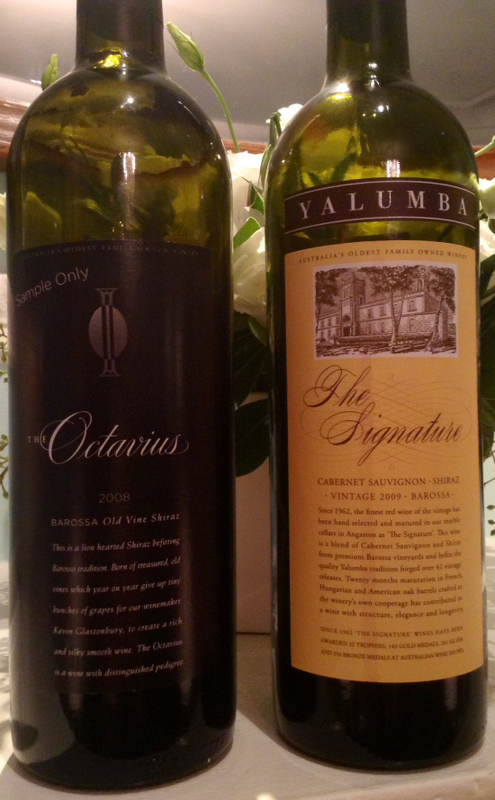 Yalumba’s The Signature was a big hit with me. Starting with its dark purple-black colour, this one opens on nose with aromas of cassis, blackberries and floral notes of violets. The palate reveals blackberry jam, cassis and pepper. A delicious long, peppered cassis finish made this one a pefect match with the mini beef Wellington. Signature is made from hand-picked grapes from the best vintages of Cab Sauv and Shiraz. The Scribbler is known as the “Little Brother” of Signature. This Cab Sauv & Shiraz blend opens with raspberries, sweet spice and licorice on the nose, followed by strong licorice, herbs, and crushed red plums. Medium to full-bodied, with spicy red currant finish, it also complimented the beef wellington. 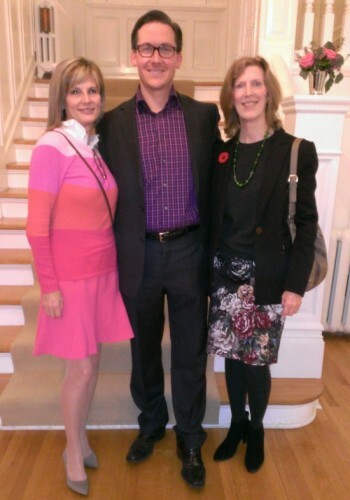 By Valérie Dufour I was going to this wine tasting at the Australian High Commissioner’s Residence in Ottawa with an open mind as I am a fan of Old World wine. In terms of Yalumba, the oldest family-owned Australian winery, I was only familiar with their entry level Viognier. Then, I met the Baron of Barossa. “If you want an easy life, marry Grenache!” Jane Ferrari , the winemaker and ambassador of the Yalumba brand, knows how to capture the attention of a group of wine lovers. She is funny and her passion for wine is contagious. “Barossa is the area of the world where there are the most vines that are hundred year old. Our region was not affected by phylloxera. I think the French should stop calling us the New World,” explains Jane Ferrari with a smile. As she tells me the techniques used in the production of the two Viognier we’re tasting, she brings the two bottles on a table and pours two glasses to make sure I see the difference in the single vineyard 2012 Viognier from Eden Valley. “Australia is known mostly for the Yellow tails and the Little Penguins, but we are very innovative and we need to tell the world about it,”adds the charismatic woman. “The Viognier from Eden Valley is a labour of love and, in 2012, all stars aligned. We see it as the spiritual brother of Condrieu. The vines are 29 years old, we handpick the grapes and the yield is only 400 liters per ton. We let if ferment in stainless for 8 months and then we age it in old French barriques.” As she progresses to the reds, the communicator explains that the winery is not a big fan of toasted barriques, unlike many of its Australian counterparts. “We are the only winery that makes its own barrels. There is no char. We let the wine speaks on it’s own”, she insists. I have to admit that it shows. My “coup de coeur” of the evening was the “rhône style” The Strapper, a blend of Grenache, Shiraz and Mataro full of blackberries, clove and pepper aromas and simply delicious. This wine is a really good value. Complex with velvety tannins and a nice finale with a little bite of bitterness. According to Jane Ferrari, the best kept secret of Barossa is the wine made with a blend of Cabernet Sauvignon and Shiraz. “Barossa became synonym of Shiraz, but it is not all we are. I am not supposed to play favorites, but this blend is MY world!” The winemaker explains that the two top red of the house are made according to the same method. They restrict the yield, they pick the grapes of each parcel and keep them separate and then blend the best barrels to make the top wines (The Octavius and The Signature) and blend the other barrels to make the second wines (Patchwork and The Scribbler). “We have been making The Signature even before 1960, but under another name. The concept is simple. We don’t have percentage of each of the grapes we need to follow. 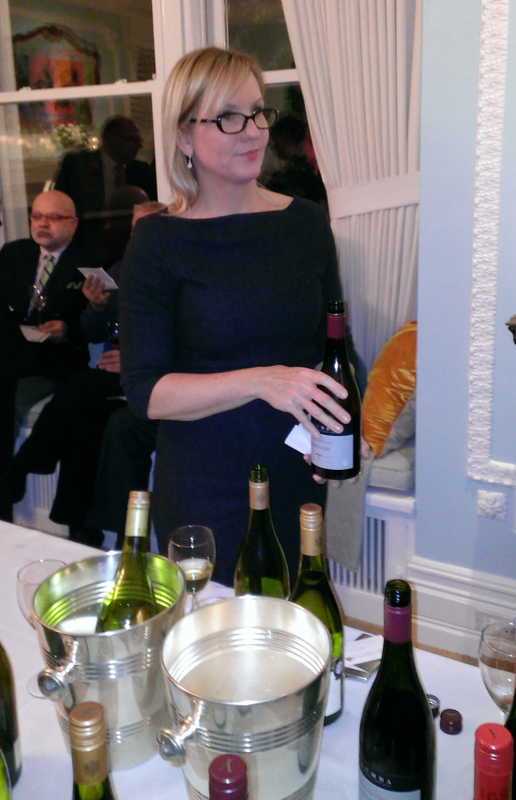 We just take what is the best of the best and this 2009 is going to be a great wine,” declares Jane Ferrari. We know better that to disagree with a Baron! By Matt Steeves A small group of Ottawa based wine trade professionals had the distinct pleasure of attending the Yalumba Family Vineyards Fall Tour 2013 tasting event hosted by Jane Ferrari, the Australian and New Zealand Wine Society of Ottawa, and the Australian High Commissioner in Ottawa. The Yalumba wine company is the oldest family-owned winery in Australia. 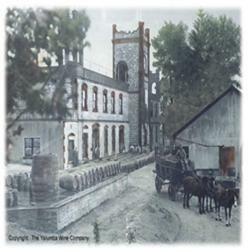 Founded in 1849 (by Samuel Smith), this winery has deep roots in the wine business. Six generations, over 160 years in business and going strong, 100+ year old vines, almost makes calling Yalumba a ‘new world’ winery seem wrong despite its geographic location. Jane Ferrari, Yalumba’s passionate brand ambassador and winemaker/storyteller, guided the guests on a journey through their suite of wines from their “Methode Tasmanoise” sparkling wine produced from the heart of Tasmania’s Pipers River region, and ending with their premium “The Signature” Cabernet Sauvignon/Shiraz blend, and their iconic “The Octavius” old vine Shiraz, both from the world renowned Barossa Valley in Southern Australia. Both the “Y Series” Viognier, and the “Eden Valley” Viognier were crowd pleasing favourites with layers of complex stone/exotic fruits, minerality, and refreshing zesty finishes. The Yalumba GSM blend, better known as “The Strapper“, and their “Old Bush Vine Grenache” (otherwise known as Blue Collar Pinot Noir), were great old world inspired wines that benefitted from the crowd pleasing characteristics so commonly associated with tasty fruit rich Australian wines. All in all, a cracker jack portfolio of Australian wines that demonstrated great fruit concentration and elegance. Yalumba was founded in 1849 by Samuel Smith, British migrant and English brewer, who had brought his family to Angaston seeking a new life. After purchasing a 30-acre parcel of land just beyond the southern-eastern boundary of Angaston, Smith and his son began planting the first vines by moonlight. Samuel named his patch “Yalumba”, meaning “all the land around” in the local Aboriginal language. Five generations and more than 160 years later Yalumba, Australia’s oldest family owned winery, has grown in size and stature. Today, Yalumba embodies all that has made the Australian wine success story the envy of winemakers the world over. With uncompromising focus on quality and innovation along with access to excellent old vine material, Yalumba has consistently produced highly awarded wines. The winery has also received multiple awards for its commitment to sustainability. Yalumba is rated five red stars by James Halliday (Australian Wine Companion 2014) and is a member of Australia’s First Families of Wine. Jane Ferrari is not simply a Yalumba employee, she’s a company crusader. 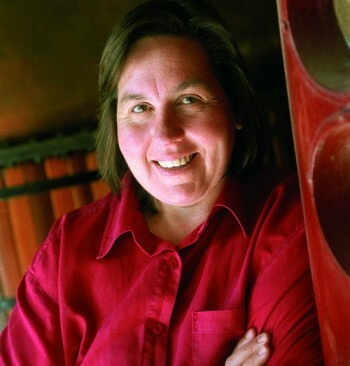 Born in Adelaide, brought up in Alice Springs and an inveterate traveller, she’s been around enough to know that the blend of elements that makes up Yalumba and the Barossa is rare indeed, and worth taking the time and trouble to explain to people, whether industry insiders or consumers. She’s a trained winemaker, a born story-teller, a canny judge of character (people or horses), an olive oil producer and custodian of a treasured gum-studded block of Barossa land. Jane was recently named ‘Wine Communicator of the Year’ in Australia, but those who know her probably think she deserves the title world-wide. Calling herself the ‘talking head’ of Australia’s oldest family owned winery (and member of the prestigious group Australia’s First Families of Wine), Ferrari travels the world spreading the word of Yalumba Wines. The event was hosted by Bruce Soar, Australia’s Deputy High Commissioner Thursday, November 7, 2013 Appetizers and hors d’oeuvres will be served and paired with a beautiful sampling of 9 selected wines from Yalumba.